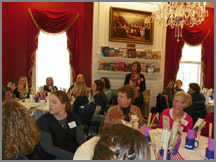 The American Village is an extraordinary venue for meetings & corporate events. When you plan your next meeting or corporate event, consider a venue that offers more than great facilities. Step into a colonial village in the midst of 183 beautiful acres, with many exceptional meeting spaces, historical interpreters and programs, and offer your participants a revolutionary experience that engages them. 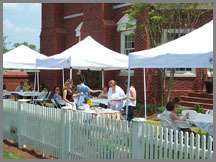 Located just thirty minutes from downtown Birmingham, Alabama, the American Village is a venue so unique it’s a national treasure! 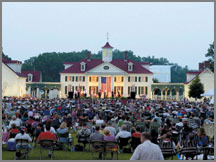 Inspired by some of America’s most historic places, the American Village offers a remarkable setting. 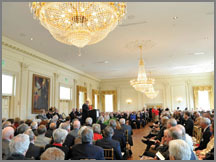 Your special event will go down in history as an unforgettable occasion. Only at the American Village can your guests be part of an American celebration. Great themes, great food, and outstanding program choices can make your meeting or corporate event truly revolutionary. Nothing like it this side of 1776!